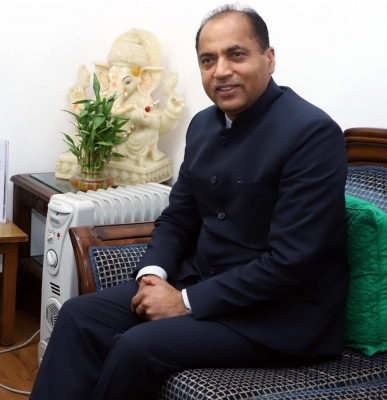 Shimla, Dec 1 (IANS) Himachal Pradesh Chief Minister Jai Ram Thakur on Saturday spoke with Union External Affairs Minister Sushma Swaraj over phone regarding bringing back 14 Indians stranded in Saudi Arabia due to visa problems. According to reports, 12 persons belonged to Himachal Pradesh and two were from Punjab. They are currently lodged in a police station in Riyadh. Thakur urged the Union Minister to personally take up the matter with the authorities for their release as they had gone to Saudi Arabia for earning their livelihood, an official statement said. The Chief Minister said he has also written a letter to Swaraj, requesting her to ensure their safe passage to India at the earliest. Thakur assured the families of the stranded persons that the state government would make all-out efforts for bringing them back home at the earliest. He said the Union Minister has assured him that the Central government would extend all possible help for their early evacuation. Two travel agents were booked by Himachal Pradesh Police for allegedly defrauding 14 youths from Mandi district. The agents had allegedly charged Rs 90,000 from each youth, promising a job on a tourist visa.